Snoring is the sound a person makes from the turbulent airflow that triggers the vibration of the nose and throat tissues. It is often an anatomical problem where there is a narrowing of either in the nose, mouth, or throat. It usually is the first sign of sleep apnea especially the obstructed type although not all snorers do suffer from the said medical condition. 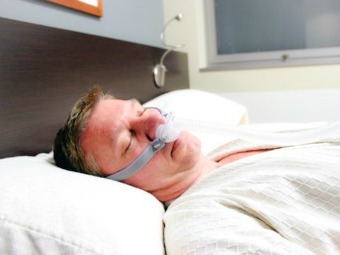 It just so happen that almost all patients diagnosed with sleep apnea makes snoring sounds in their sleep and is not only a major health risk for them but a nuisance to anyone who is sleeping nearby. Now, is there something you can do to beat it before it beats the hell out of you? Lying on your back makes the base of your tongue and soft palate collapse to the back of the wall of your throat, causing a vibration sound during sleep. A full body pillow provides a miraculous fix. If you’ve gained weight and started snoring and did not snore before you gained weight, weight loss may help. If you gain weight around your neck, it squeezes the internal diameter of the throat, making it more likely to collapse during sleep, triggering snoring. Alcohol and sedatives reduce the resting tone of the muscles in the back of your throat, making it more likely you’ll snore. Drinking alcohol four to five hours before sleeping makes snoring worse. People who don’t normally snore will snore after drinking alcohol. While sleep apnea that is related to snoring often has to do with problems in a person’s anatomy, many times it can also be the result of bad habits. There are even various anti-snoring gadgets you can try that can alleviate the symptom of snoring, so you can sleep soundly at night from now on. Of course, visit your doctor first before trying anything to ensure you’ll be using what is best for you and not endanger your health in the process. Also, cutting down or avoiding other sedatives at bedtime may work as well. These can slow your breathing and relax your tissues, which can contribute to snoring. In addition, try to avoid sleeping flat on your back. There are a number of ways you can do that, and it involves the prevention of rolling over, which you sometimes do in your sleep and can’t really control. Some suggest attaching a tennis ball to your back in some fashion (such as in a custom-sewed pocket on the back of your pajama top), because nobody wants to sleep on a hard, round ball. Another idea is to raise the head of your bed by four to six inches. Put bricks or other solid objects under the legs of the bed, which can keep your tongue from falling backward and restricting your airway. Don’t suffer from more sleepless nights because of snoring since sleep is so precious to us and to our health. After all, you can never regain lost sleep, which many people often misunderstand and take for granted especially in their youth. So, despite snoring being mostly harmless to some people, one shouldn’t just ignore it if it’s already a chronic issue and you are suffering from other deadly conditions like heart disease and many others that can be exacerbated by poor sleep. The best tip to let you know when you need to see the doctor as soon as you can is when most common remedies no longer work but the snoring still persists and negatively impacts your life.